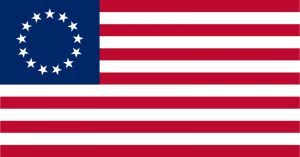 (1) Secretary of the Commonwealth, Massachusetts Soldiers and Sailors of the Revolutionary War. A Compilation from the Archives, prepared and published by the Secretary of the Commonwealth in Accordance with Chapter 100, Resolves of 1891. [Volume 6] Boston Wright & Potter Printing Co., State Printers, 16 Post Office Square, 1899. (2) S.F. Smith, D.D. History of Newton, Massachusetts, Town and City From Its Earliest Settlement to the Present Time, 1630 – 1880, Boston: The American Logotype Company, 1880. (3) Francis Jackson, History of the Early Settlement of Newton, County of Middlesex, Massachusetts: From 1639 to 1800 – with a Genealogical of its Inhabitants prior to 1800, “of Boston, a Native of Newton”, Boston: Printed by Stacy and Richardson, 1854. Fuller, Aaron, Newton. Private, Capt. Jeremiah Wiswall’s co., which marched on the alarm of April 19, 1775, to Lexington ; service, 4 days. Fuller, Abraham, Newton. Private, Capt. Amariah Fuller’s co., which marched on the alarm of April 19, 1775, to headquarters at Cambridge ; service, 2 days ; reported as belonging to alarm list. April 19, 1775, to headquarters at Cambridge; service, 4 days; also, Captain of a Newton co., Col. Thatcher’s regt. 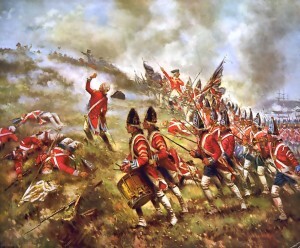 ; service, 5 days ; company called out March 4, 1776. Fuller, Asa, Newton. Private, Capt. Jeremiah Wiswall’s co., which marched on the alarm of April 19, 1775, to Lexington; service, 1 day; also, Fifer, Capt. Jeremiah Wiswall’s co., Col. Hatch’s regt. ; service, 4 days; company marched by order of Gen. Washington March 4, 1776, at the time of taking Dorchester Heights; also, Private, Capt. Caleb Brooks’s co. Col. Nicholas Dike’s regt. ; pay abstract for mileage to and from camp dated Boston, Nov. 27, 1776, and endorsed “at Dorchester Heights 3 mos., Dec, 1776, Jan. and Feb., 1777;” also, Fifer, Capt. Joseph Fuller’s (2d Newton) co., Col. Thatcher’s regt. ; entered camp Sept. 2, 1778; discharged Sept. 3, 1778; service, 2 days; company marched to Cambridge to guard British troops; also, order on Capt. Edgel, dated Newton, April 26, 1779, signed by Thomas Hastings, for sauce money due said Fuller who was hired by said Hastings in behalf of his brother Stephen Hastings; entered camp Sept. 14; discharged Dec. 31 [year not given, probably 1778]; also, list of men detached from Newton militia to serve as guards, as returned by Capt. Edward Fuller [year not given]. Fuller, Daniel, Newton. Private, Capt. Amariah Fuller’s co., which marched on the alarm of April 19, 1775, to headquarters at Cambridge; service, 3 days. Fuller, David, Private, Capt. Amariah Fuller’s (Newton) co., Col. Thatcher’s regt. ; service, 5 days; company called out March 4, 1776; also, 1st Corporal, Capt. Joseph Fuller’s co., Col. Samuel Bullard’s regt. ; enlisted Aug. 20, 1777; discharged Nov. 29, 1777; service, 3 mos. 22 days, travel included, at Stillwater. Fuller, Edward, Newton. Lieutenant, Capt. Amariah Fuller’s co., which marched on the alarm of April 19, 1775, to headquarters at Cambridge; service, 4 days; also, 2d Lieutenant, Capt. Amariah Fuller’s (Newton) co., Col. Thatcher’s regt. ; service, 5 days; company called out March 4, 1776; also. Captain, 5th (1st Newton) co., 1st Middlesex Co. regt. of Mass. militia; list of officers chosen by the several companies in said regiment, as returned by Col. Samuel Thatcher and others, dated Watertown, April 26, 1776; ordered in Council April 29, 1776, that said officers be commissioned; reported commissioned April 29, 1776; also. Captain, 2d CO., Col. Eleazer Brooks’s regt. ; list of officers of a regiment drafted from Middlesex Co. militia and ordered to march to Horse Neck by Brig. Oliver Prescott Sept. 26, 1776; also, Captain, Col. Brooks’s regt. ; company return endorsed “Oct., 1776;” reported lost articles in battle ; also, Captain, Col. Brooks’s regt. ; engaged Sept. 29, 1776; discharged Nov. 16, 1776; service, 60 days, 11 days (220 miles) travel included; order for payment of amount of roll dated at North Castle, Nov. 19, 1776, and signed by Col. Eleazer Brooks; also. Captain, Col. William Mcintosh’s regt. ; entered camp March 19, 1778; discharged April 5, 1778; service, 18 days, at Roxbury; also, Captain, 1st Newton co., Col. Thatcher’s regt. ; entered camp Sept. 2, 1778; discharged Sept. 4, 1778; service, 3 days; company marched to Cambridge to guard British troops; also, list of men detached from Newton militia to serve as guards, as returned by said Fuller, Captain [year not given]. Fuller, Elisha, Newton. Private, Capt. Phineas Cook’s co., which marched under command of Capt. Lieut. John Marean on the alarm of April 19, 1775, to headquarters at Cambridge; service, 8 days. Fuller, John, Newton. Private, Capt. Amariah Fuller’s co., which marched on the alarm of April 19, 1775, to headquarters at Cambridge ; service, 1 day; reported as belonging to alarm list. Fuller, James, Order on Paymaster of 6th Mass. regt., dated Newton, Aug. 13, 1783, for wages, etc., due said Fuller. Fuller, Joseph, Newton. 1st Lieutenant, Capt. Jeremiah Wiswall’s co., which marched on the alarm of April 19, 1775, to Lexington; service, 4 days; also, Lieutenant, Capt. Jeremiah Wiswall’s co., Col. Hatch’s regt. 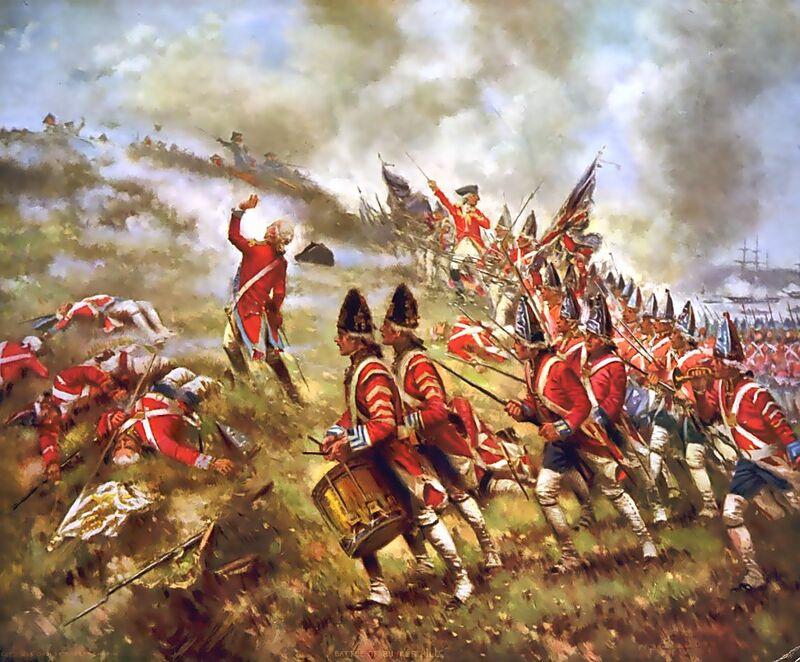 ; service, 5 days; company marched by order of Gen. Washington, March 4, 1776, at the time of taking Dorchester Heights; also, Captain, 7th (2d Newton) co., 1st Middlesex Co. regt. of Mass. militia; list of officers chosen by the several companies in said regiment, as returned by Col. Samuel Thatcher and others, dated Watertown, April 26, 1776; ordered in Council April 29, 1776, that said officers be commissioned; reported commissioned April 29, 1776; also, Captain, Col. Samuel Bullard’s regt. ; engaged Aug. 14, 1777; discharged Nov. 29, 1777; service, 3 mos. 16 days, at Stillwater; also. Captain, 2d Newton co., Col. Thatcher’s regt. ; entered camp Sept. 2, 1778; discharged Sept. 4, 1778; service, 3 days; company marched to Cambridge to guard British troops; also, Captain, Col. Bullard’s regt. ; pay abstract for travel allowance from Scarsdale ; warrant allowed in Council Nov. 4, 1778. Fuller, Joseph, Private, Capt. Amariah Fuller’s (Newton) co., Col. Thatcher’s regt. 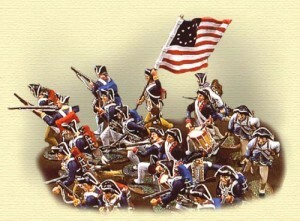 ; service, 5 days; company called out March 4, 1776. Fullar, Joshua (also given John), Newton. 2d Lieutenant, Col. Wheelock’s regt. ; general order dated Headquarters, Ticonderoga, Oct. 4, 1776, taken from Col. Wheelock’s Orderly Book; said Fullar promoted to 1st Lieutenant, vice Lieut. Dench advanced ; also, Lieutenant, Col. Ephraim Wheelock’s regt. ; regimental returns dated Ticonderoga, Sept. 28, Oct. 5, and Oct. 12, 1776; reported on command in the train by the General’s order. Fuller, Joshua, Newton. Private, Capt. Amariah Fuller’s co., which marched on the alarm of April 19, 1775, to headquarters at Cambridge ; service, 3 days ; reported as belonging to the alarm list. Fuller, Joshua, Newton. Sergeant, Capt. Amariah Fuller’s co., which marched on the alarm of April 19, 1775, to headquarters at Cambridge; service, 1 day; also, Capt. Amariah Fuller’s (Newton) co., Col. Thatcher’s regt. ; service, 5 days? company called out March 4, 1776. Fuller, Moses, Newton. Private, Capt. Phineas Cook’s co., which marched on the alarm of April 19, 1775, under command of Capt. Lieut. John Marean, to headquarters at Cambridge; service, 6 days; also. Private; list of men returned as serving on main guard under Maj. Baldwin at Cambridge, dated May 15, 1775; also, Capt. Phineas Cook’s co.. Col. Gardner’s regt. ; receipt for advance pay dated Camp at Cambridge, June 27, 1775, signed by said Fuller and others; also, Capt. Phineas Cook’s co., late Col. Thomas Gardner’s regt. ; order for bounty coat or its equivalent in money dated Prospect Hill, Dec. 26, 1775. Fuller, Nathan, Newton. 2d Adjutant, Col. Thomas Gardner’s regt., which marched in consequence of the alarm of April 19, 1775; service, 6 days. Roll dated Prospect Hill. Fuller, Oliver. Private, Capt. Edward Fuller’s co., Col. William Mcintosh’s regt. ; entered camp March 19, 1778; discharged April 5, 1778; service, 18 days; company stationed at Roxbury. Roll dated Newton. Fuller, Richard, Newton. Private, Capt. Amariah Fuller’s co., which marched on the alarm of April 19, 1775, to headquarters at Cambridge; service, 2 days; also, Capt. Amariah Fuller’s (Newton) co.. Col. Thatcher’s regt. ; service, 5 days; company called into service March 4, 1776; roll sworn to at Watertown; also, Capt. Edward Fuller’s co., Col. Brooks’s regt. ; company return endorsed ” Oct., 1776; ” also, Capt. Edward Fuller’s co., Col. William Mcintosh’s regt. ; entered camp March 19, 1778; discharged April 5, 1778; service, 18 days ; company stationed at Roxbury. Fuller, Samuel, Newton. Private, Capt. Abijah Child’s co., Lieut. Col. William Bond’s (late Gardner’s) 37th regt. ; muster roll dated Aug. 1, 1775; also, muster roll for Aug., 1775, dated Camp Prospect Hill ; enlisted April 25, 1775; stature, 5 ft. 9 in. ; also, company return dated Prospect Hill, Oct. 6, 1775; also, receipt for money in lieu of bounty coat dated Prospect Hill, Dec. 25, 1775; also, Private, Capt. Amariah Fuller’s (Newton) co., Col. Thatcher’s regt. 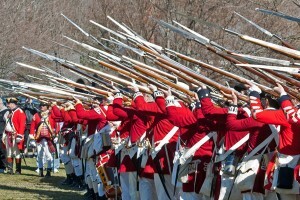 ; service, 5 days; company called into service March 4, 1776; roll sworn to at Watertown. *We find the following in the Massachusetts Archives, Book 26, Page 120. Payroll of the Field and Staff officers of Col. Thomas Gardner’s Regiment of the Militia, who marched in consequence of the alarm on the 16th of April, 1775: Nathan Fuller, 2d Adjutant, 15s, 5p………. Muster roll of West Newton Company in the Battle of Lexington. Captain Amariah Fuller’s Company of West Newton, marched from Newton on the 19th April, 1775; they marched twenty-eight miles and were out four days. Amariah Fuller, Captain; Edward Fuller. Lieutenant; Joshua Fuller Orderly Sargent; ……………. Privates: Daniel Fuller, Richard Fuller, …… Alarm List: Joshua Fuller, Abraham Fuller, Esq. John Fuller; Minute-Men: Elisha Fuller, Moses Fuller, …….. This roll was recorded Vol. 12, p 20. Signed by Joshua Marean, Capt. Lieut., and sworn to before Judge Fuller. Such was the roll of honor, furnished from the hearths and homes of Newton, as the advance of the army of freedom. Soldiers who enlisted in the Regular Army for Eight Months from May 1, 1775; Men: Nathan Fuller, Samuel Fuller; Captains: Nathan Fuller. Page 377 Soldiers who served after the eight months had expired: James Fuller. In August, 1775, Captain Joseph Fuller, of Newton, raised a company of ninety-six men, and marched to Bennington and Lake George to oppose Burgoyne. 377/78 Participants in this 68 Man co. were: Edward Fuller, Oliver Fuller, Richard Fuller. 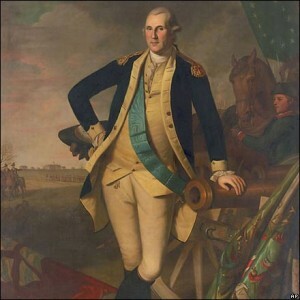 Colonel Joseph Ward, Aid-de-Gamp, and Secretary of Major General Ward, in 1775, and afterwards Muster Master General of the Army. Nathan Fuller, Lieut, Colonel of the 13th Regiment. Page 201 Newton Men Who Served More or Less in the War of the Revolution. Alphabetically Arranged. Copied from the Town Records and Muster Rolls, at the Secretary of State’s Office. Those in Italics, did volunteer duty, either at the battles of Lexington and Concord, or manned the lines at Dorchester Heights, or by guarding the surrendered troops of General Burgoyne, &c. The others enlisted in the army, for various terms of service. Fuller, Joshua Fuller, Edward, Capt. Fuller, Joseph Fuller, Joseph, Capt. Oct. 24, 1747; Thankful, Feb. 21, 1750; Joseph, July 29, 1751; Susanna, June 2, 1753; Martha, Aug. 21, 1755; and Patty………………… He d. 1793, ae. 83. His wid. Abigail d. 1796, ae. 86. FULLER, JOSIAH, Jr.4, [Ensign Josiah Sr.3, Lieut. Jeremiah2, John Sr.1] m. 1st, Anna Priest, of Waltham, 1761……… He was Selectman three years, and Col. in the Militia. He d. March 22, 1825, ae. 84.